Sprained Ankle – How did you hurt it? How Did you Hurt Your Ankle? 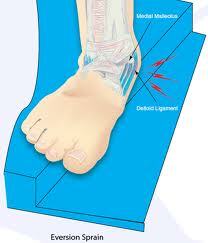 How you injured your ankle is critical to understanding how bad it really is. The most common ankle sprain is called an inversion sprain. 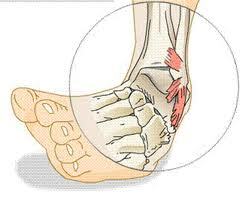 It occurs when the foot rolls to the inside of the body so that the sole of the foot is turned toward the other foot. One of the least common, but more severe sprains is the eversion sprain. This type of sprain occurs when the foot rolls to the outside of the body so that the sole of the foot is facing away from the other foot. Because of the limited range of motion that the ankle has moving toward the outside of the body, an eversion sprain is almost always much more serious than an inversion sprain.